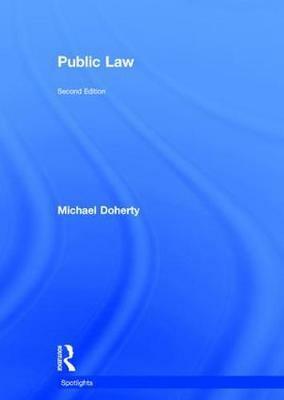 Public Law is an ideal choice for all undergraduate and GDL students looking for a comprehensive yet accessible textbook on this area of law. The author's clear writing style, accessible tone, and focus on modern case law help bring the subject to life. The book covers the key institutions, concepts, and legal rules of the United Kingdom's constitutional system, with the chapters arranged around four subjects: the foundations of the constitutional system; Constitutional Law; Administrative Law; and human rights. The book's central theme is that of state power, and the relationship between the state and the citizen. The second edition has been revised to reflect recent key developments in Public Law, and now extensively explores, in addition to several other key chapter updates, the impact of the 2016 EU referendum, the 2017 General Election, and changes in devolution across England, Scotland, and Wales. Clearly written and easy to use, Public Law enables students to fully engage with the topic and gain a profound understanding of this fundamental, exciting area. By focusing on recent case law and real-world examples, Routledge Spotlights will help you shed light on the law, understand how it operates in practice and gain a unique appreciation of the contemporary context of the subject. This book is supported by a range of online resources developed to support your learning, keep you up-to-date and to help you prepare for assessments.